Getting around town isn’t how it used to be. The days of taxis and rental car companies dominating the transportation landscape are long gone, and that’s great news for travelers in search of something more. DreamTeamDrive (DTD) is a transportation network company offering top class service to customers in more than 30 of the most high-demand markets around the country. Similar to industry giants like Uber and Lyft, DTD puts your next ride at your fingertips whenever you’re ready to get going. Unlike those companies, though, we remain nimble enough to address the specific needs and requests of our growing customer base. Features like surge-free pricing and advanced ride reservations may be out of reach for Uber customers, but they’re just par for the course when you take a spin with your friends at DTD. Whether you need to hit the road for business or just a night out on the town, there’s no time like the present to check out the benefits of riding with DTD. Download the free DTD App, and enjoy a better ride around town! One of the biggest benefits of renting a car when visiting a new city is the chance to choose a vehicle that suits your specific needs. Sometimes, a standard taxi just doesn’t fit the bill for your trip. That’s why DTD offers a selection of unique transportation options designed to make your ride as comfortable and accessible as possible. The DTD fleet features both luxurious sedans and spacious SUVs in a number of markets for your convenience. If you’re traveling alone, DTD Black could be a great choice. DTD Black service includes a stylish sedan and our most affordable pricing to help you stretch that travel budget farther. If you’ve got some companions on your trip, you’ll want to check out a DTD SUV. Featuring competitive rates and all of the top flight service perks you’d expect from a growing executive car service, DTD SUVs are a roomier alternative that won’t break the bank. The backbone of the DTD experience is the intuitive DTD App, which is currently available to download for free on both Android and iOS devices. Last month, we gave our customers some insight into the recent improvements of the DTD App, and we’re happy to say that those updates have been well-received. If you haven’t taken DTD for a spin in the past few weeks, we’re guessing that you’ll really enjoy the streamlined options and features currently available in the app. Still, we’re not resting on our laurels. We’re constantly working to improve the DTD App in order to make it among the very best in the transportation industry. More updates are on the way as we continue to work toward pushing the transportation market forward. True VIP service is what the DTD difference is all about! DTD has established a spot among the leaders in the transportation industry in recent years, and we’re working hard to ensure that things only get better moving forward. Next time you’ve got to hit the road, whether it’s for business or pleasure, take DTD for a spin. We’ll handle the headaches associated with traffic and complicated directions, so you’ll have more time to enjoy the ride. The DTD fleet features vehicles of multiple sizes to meet your specific needs, and the easy-to-use DTD App makes hailing your first ride as simple as a few swipes on your phone. Take advantage of our top class service by reserving a ride today! DreamTeamDrive (DTD) was founded in 2014 with a simple goal: to provide true VIP service at affordable rates. Over the years, this guiding principle has helped us expand from a regional upstart serving a few cities across Texas to an industry leader with a presence in more than 30 of the most high-demand markets around the country. With the weather warming up and springtime now in full swing, we think it’s a great time to announce that DTD is preparing to spring up in even more markets in the coming months. In other words, you’ll soon be able to enjoy the top quality service that’s synonymous with DTD practically anywhere in the United States that you need to go. If you’ve never taken DTD for a spin, now is the perfect time to get started. Just take out your mobile phone, and download the free DTD App. It’s available on both Android and iOS devices, and it’s your ticket to a better ride around town. With the DTD App, getting from point ‘A’ to point ‘B’ is as easy as a few swipes of your finger! DTD got its start as an executive-focused transportation solution for professional travelers in the Lone Star State, which helped us develop some of the most innovative and customer-friendly options you’ll find in the industry. We remained committed to uncommon features like advanced ride reservations and surge-free pricing as we expanded into new markets across the country, and now we’re preparing to do it again! The word is out about DTD’s true VIP service, and rising demand has us on the cusp of another wave of expansion into even more of the country’s biggest transportation markets. Expect to hear more about our entry into new cities later this year, and get ready to experience the benefits of riding with DTD on an even larger scale. The DTD App has always been your portal to a great ride around town, but we’re continuing to refine the technology and improve the experience for our valued customers. The latest update was focused primarily on improving booking functionality. If you haven’t taken DTD for a spin in a while, we’re guessing that you’re going to really enjoy the streamlined options. We continue to hear great things about the DTD App from our customer base, but we’re constantly working to make things even better. Stay tuned for future updates as we continue to improve our service. We’re working to drive the transportation market forward, making getting around town a more pleasurable experience no matter where your travels may lead. After all, pushing the envelope to improve customer service is kind of our thing! Some transportation network companies may choose to rest on their laurels and put improvements on the backburner, but DTD remains focused on improving our offerings and exceeding your expectations. Whether you’re hitting the road for business or pleasure, trust your friends at DTD to make navigating the often hectic traffic of major cities a stress-free experience. Download the free DTD App to get started, and take advantage of the option to reserve rides ahead of time when schedules are tight. The truth is, whether you’ve got elaborate plans or are taking a spontaneous trip, the steadily growing DTD fleet is a great travel resource. With one ride, you’ll understand why our customers can’t get enough of the DTD difference! DreamTeamDrive (DTD) has become a favorite of executive travelers in high-demand markets around the country, and for good reason. Our commitment to providing true VIP service to each and every customer puts us on par with the industry’s very best. It’s worth noting, however, that DTD is much more than a simple executive car service. No matter where your travels may lead – whether you’re headed for the airport, the game, the mall or the cruise ship – reserving a ride with DTD is the best way to take traffic headaches out of the equation. Since 2014, we’ve grown from a regional transportation network company serving major markets across Texas to a nationwide leader with a presence in more than 30 cities. Today is a great day to take DTD for a spin! To get started, take out your mobile phone and download the free DTD App. It’s available now for both Android and iOS devices. With the DTD App in your pocket, exceptional transportation is never more than a few swipes away! Today’s transportation market is all about convenience. The days of calling a taxi company and waiting on the curb for 20 minutes are long gone, and that’s great news for your next night on the town. DTD offers the on-the-spot service that today’s travelers have come to expect, and that’s helped us establish ourselves as one of the fastest-growing transportation network companies in the United States. With a few taps on your mobile device, you’ll have access to the sizable DTD fleet, with the option to ride in either a comfortable sedan or a spacious SUV in many of our operating markets. While huge companies like Uber make headlines for their rider quantity, DTD remains committed to offering quality service and exceeding the expectations of our valued customers. Don’t take our word for it! Download the DTD App, and experience the DTD difference today! DTD is built to meet the unique needs of executive travelers, meaning that we offer a few important benefits that you won’t find with some of the industry’s most recognizable names. Consider, for example, the ability to reserve rides in advance. While Uber fails to offer this option in the vast majority of its markets around the planet, DTD customers have the ability to reserve rides in any of our 30+ markets before leaving home. The way we see it, options are never a bad thing. Instead of looking for an Uber after your plane lands, just walk outside and take a seat in a luxurious sedan or SUV with DTD. Another benefit of DTD is our affordable, predictable pricing. While Uber subjects customers to its dreaded Surge Pricing mechanic, which can lead to fares of as much as 50 times normal rates, DTD can help you preserve your budget without sacrificing on quality. When you think DTD, you may think executive transportation, and you wouldn’t be wrong if you did. However, the benefits of riding with DTD can extend well beyond business trips. Reserve a ride to the airport, to the game, to the mall or to the cruise ship, and make getting from point ‘A’ to point ‘B’ a more enjoyable experience. Get started today by downloading the free DTD App. With a growing fleet and a presence in many of the most high-demand markets across the country, there are a lot of advantages to hitting the road with your friends at DTD! The holidays are over, and 2017 is now in full swing. Still, it’s never a bad idea to keep those New Year’s resolutions in mind as you turn your attention toward another successful year. For DreamTeamDrive (DTD), our resolution remains the same year after year: to give each and every customer VIP service 100 percent of the time. These days, the transportation market is flooded with pop-up transportation solutions and fly-by-night taxi companies looking to make a quick buck without putting in the time and effort to truly stand out in one of the world’s most rapidly evolving industries. Wading through these substandard options to find the true gems of the ongoing transportation renaissance can be a tough task, particularly when it comes to visiting unfamiliar cities around the country. With a presence in more than 30 of the most in-demand markets in the U.S., DTD is the solution to this confusion. Our commitment to exceptional service has earned us a spot among the fastest-growing transportation network companies in the game, and we’re looking forward to the opportunity to put this commitment to work for you! With modern technology, few things are more important to consumers than convenience. Calling a taxi company and waiting 20 minutes for your ride to show up may have cut the mustard a decade ago, but today’s travelers expect on-the-spot service that’s available at a moment’s notice. That’s why we offer the intuitive DTD App. Our free app is available for download on both Android and iOS devices, and it’s the easiest way to request a ride around town in any of our operating markets. A few swipes on your mobile device are all that stand between you and a safe, efficient and enjoyable ride in one of the luxurious sedans or SUVs that make up the growing DTD fleet. While major industry players like Uber and Lyft target quantity over quality, DTD customers have come to expect the type of service that you’d find with an expensive executive car service at rates that won’t break the bank. Get started today by downloading the DTD App! As previously mentioned, Uber and its biggest competitors don’t always offer the service or options that you’ll need to make your next business trip or family vacation more enjoyable. Consider, for example, Uber’s decision to omit the option for advanced ride reservations in the vast majority of its markets. The way we see it, the key to professional success is proper preparation. That’s why DTD gives you the option to reserve a ride in any of our 30+ markets before ever leaving home. Not only will you be able to ensure that you’ve got a driver when you arrive at the airport, you’ll also be able to properly budget your trip. With Uber, fluctuating rates driven by the dreaded Surge Pricing mechanic make this sort of predictability all but impossible. Finding true VIP service that won’t break the bank isn’t always easy, but that’s exactly what you’ll get when you reserve a ride with DTD. Since our launch in 2014, we’ve stayed true to our founding principles of reliability and affordability, and this dedication has helped us establish a position in some of the most competitive transportation markets in the country. Experience the benefits of riding with DTD for yourself, and enjoy a level of service that you won’t always find with some of the industry’s bigger players. Get started by downloading the free DTD App on your Android and iOS devices. DTD is ready to drive you today! The big weekend is finally here! Whether you’re a fan of Atlanta, New England or just football in general, nothing quite stacks up against a trip to the NFL championship game. By now, you’ve probably got most of the arrangements in place for the weekend, whether we’re talking about game tickets or hotel accommodations, but one bit of planning that often slips under the radar for travelers is transportation after the plane touches down. Getting from the airport to your hotel and from your hotel to NRG Stadium on February 5 can be a stressful and costly endeavor if you don’t play your cards right. Makeshift “taxi” companies are sure to spring up, offering their services at a premium, and established transportation network companies like Uber have implemented unpredictable pricing mechanics that jack up the rates when demand is at its highest. Luckily, there’s a better option for football fans in Houston this weekend. DreamTeamDrive (DTD) is the Uber alternative in Houston offering top quality service without the budget-busting price tag. Year-round, DTD remains committed to offering true VIP service to executive clients operating in more than 30 of the most high-demand markets around the country. When it comes to a big sporting event, this dedication to exceptional service translates perfectly. The way we see it, going to the Super Bowl is costly enough without unexpected add-ons. Protect your budget and your sanity by navigating the fearsome Houston traffic in style with your friends at DTD. Get started by downloading the free DTD App on your Android and iOS devices. Then, a great ride around town is always just a few swipes away! Safety is always a top priority with DTD. The transportation network industry has seen its fair share of fly-by-night operations springing up with substandard safety protocols, so it’s important to find a car service that takes your safety as seriously as you do. With DTD, every driver is required to pass a comprehensive background screening from the experts at Checkr, the same agency employed by industry giants like Uber. From there, we insist on regular drug screenings and annual physicals, and every sedan and SUV in the DTD fleet is commercially licensed and insured for added protection. A trip to Houston for the Big Game should be a chance to kick back and have a great time. Avoid unnecessary delays and less-than-ideal circumstances by depending on the executive car service that serves business travelers in Space City all year long. Ride with DTD! In business, a little bit of preparation can go a long way toward ensuring success, so why shouldn’t this theory translate to leisure travel? DTD gives customers the option to reserve rides in any of our more than 30 markets before leaving home, meaning that your car will be waiting whenever your plane arrives. Uber, on the other hand, forces its customers to wait until the last minute to hail a ride, injected a dose of uncertainty that could loom over a big trip like a missed extra point. Put your mind at ease this weekend by reserving your ride with DTD today. With the DTD App, getting started is a breeze, and nothing says “Play like a Champion” quite like a weekend of seamless transportation experiences. Surge pricing is, by far, the most unpopular feature of Uber’s rapidly expanding business model. This complicated mechanic raises fares when rider demand is high, meaning that your ride to NRG Stadium could end up setting you back as much as 50 times normal rates. With the Super Bowl in town, we think it’s a pretty safe bet that demand will be high this weekend! When you reserve a ride with DTD, worries about surge pricing become a thing of the past. We offer two affordable pricing options that never fluctuate based on rising demand. Whether you go for our flat rate option or our standard billing, you can ride in style without breaking the bank. Time is of the essence! Download the DTD App, and reserve your rides with DTD today! Whether you’re pulling for the Falcons or the Patriots, we’re all looking forward to the grand spectacle that the Super Bowl always creates. Get to the game in style without blowing the budget by reserving a ride with Houston’s hometown transportation network company; hit the road with your friends at DTD. Are you ready for some football? Like much of America, the DreamTeamDrive (DTD) team is amped about the big game, which is set to take place in just a few weeks, on February 5, at NRG Stadium in Houston. Despite some crushing upsets taking down the Lone Star State squads in recent weeks, Super Bowl LI still promises to be a truly can’t-miss spectacle for football fans from around the globe. No matter who escapes this weekend’s conference championship games unscathed – whether it be the Packers or the Falcons, the Steelers or the Patriots – the time is rapidly approaching for all of those lucky spectators with plans to be in attendance for the festivities. Now, if you’ve got plans to watch the big game next month, don’t forget to take care of the details of your trip in advance in order to give yourself more time to enjoy the unparalleled atmosphere of the NFL’s ultimate contest. Of course you’ll want to reserve a room (if you haven’t already), but there’s more to your Houston visit than accommodations. That’s where DTD comes in. We’re the hometown executive car service offering top flight transportation options for football fanatics this February. Unlike some of the bigger names in the transportation market, we accept advanced ride reservations, meaning that you can take the guesswork out of your Space City travels right now, with just a few taps on your smartphone. Take advantage of our commitment to true VIP service, and set up yourself up for a Super Bowl experience that you’ll never forget! Get started by downloading the free DTD App on any of your Android or iOS devices. When the quarterback takes the field and drops back for a pass, he’s trusting his lineman to watch his back and help him get to the end zone safely. Don’t attempt to lead your big trip without a team of seasoned linemen to keep you safe. DTD is the left tackle of executive quarterbacks year-round in Houston and more than 30 markets around the country. Our safety standards are on par with the toughest in the industry. 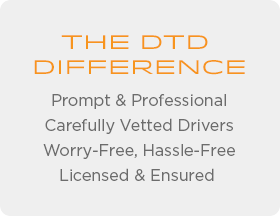 From comprehensive background checks for all of our drivers to adequate licensing and insurance for every sedan and SUV in the DTD fleet, we go all out to ensure that our customers can ride with full peace of mind. Unnecessary delays and sketchy circumstances won’t have a chance to sack your Super Bowl plans when you ride with DTD. Learn more by checking out the DTD website today! Uber riders may be forced to hail a ride after reaching the airport or just before the big game, but that’s no reason for you to wait until the last minute. With DTD, it’s easy to reserve your ride to NRG Stadium well in advance. While others are forced to choose between questionable makeshift taxis and inconvenient rental cars when demand hits its peak, you’ll be free to soak in the atmosphere while enjoying a relaxing, efficient ride around Houston. As the premier Uber alternative in Houston for business travelers, we recognize the benefits of allowing for proper preparation. Wherever your Super Bowl weekend may lead, DTD is the transportation provider you’ll want to help you get from point ‘A’ to point ‘B’ in a safe and timely manner. Offense is great for entertainment, but everybody knows that defense wins championships. With the Super Bowl in Houston, plenty of transportation network companies will be looking to spring big time blitzes on your budget with inventive mechanics like Surge Pricing. Defend your hard-earned dollar by riding with DTD. We offer two affordable pricing options that don’t fluctuate based on rising demand. While Uber may end up costing you as much as 50 times normal rates when there are a lot of customers, DTD’s true VIP service doesn’t waver in the face of a little traffic. Check out our Houston rates. We’re guessing that you’ll be pleased at just how affordable your Super Bowl transportation can be when you take a ride with your friends at DTD. The NFL season is on the five-yard line, and we’re all excited to see how this epic drive wraps up. If you’re planning to check out the thrilling conclusion in person, reserve your ride with the transportation provider in Houston that offers top quality service all year long. Ride with DTD! January is here, which means that 2016 is history. Looking forward to the New Year, all of us here at DreamTeamDrive (DTD) are excited to continue building on the solid foundation we’ve established in major transportation markets across the United States. By now, our customers have come to expect truly exceptional service whenever taking a ride with DTD, and we remain committed to providing top quality rides that combine industry-leading safety standards with the comfort and style you’d expect from a leading executive car service. While it’s true that the holiday season has come and gone, the benefits of riding with DTD are here to stay. You may be thinking that talk is cheap, but there’s no need to take our word for it when it comes to this Uber alternative. Just download the free DTD App from the App Store or Google Play, and your next trip will never be more than a few taps away. For some, the holidays are a great chance to kick back and unwind. For others, they’re jam-packed with stressful travel and budget-stretching expenses. No matter which camp you find yourself in, DTD gives you the transportation tools needed to get back in the swing of things. All too often, New Year’s resolutions are associated with overly-ambitious goals and short-lived fantasies, but DTD is flipping the script this year with a firm goal of continuing to meet and exceed the expectations of our hard-working customers. If you’ve come to rely on DTD’s stringent safety standards and unmatched reliability to meet your professional objectives, there’s no reason to change course in 2017. DTD has a growing presence in more than 30 of the most high-demand markets in the country, and we’re looking forward to expanding our foothold in the evolving transportation market in the coming months. Learn more about the DTD difference by checking out our mobile app! The calendar may tell you that the holiday season is gone, but football fans know that the most wonderful day of the year is still to come! We’re talking, of course, about Super Bowl LI, which is set to kick off on February 5 in DTD’s home market of Houston. With the playoffs getting underway later this week, there’s no time like the present to finalize those travel plans if a trip to NRG Stadium is in your future. Skip out on Uber’s budget-busting surge pricing and the unpredictability of traditional taxis. With two affordable pricing options and a fleet of luxurious sedans and SUVs standing by for the big game, DTD is the best value in town. Dodge the traffic nightmare and give yourself more time to enjoy the festivities by booking your ride today. Spots are filling up fast! It’s no secret that the transportation market is more competitive than it has ever been, and only companies bringing true innovation and quality to the table can thrive in that sort of environment. DTD recorded strong growth throughout 2016, and we’re looking to build on these results now that 2017 has officially arrived. Whether you’re flying in for a big event or just in search of a better transportation option for visiting clients, there’s no need to settle for the one-size-fits-all approach of some of the industry’s bigger names. Download the free DTD App on your Android and iOS devices, and let’s make your next trip memorable for all of the right reasons! There’s no better time than late December to reflect on the true joys of life. Family, friends and small blessings that fill your life throughout the year may slip under the radar as the hustle and bustle of daily life distract your attention, but the Christmas season gives even the most focused of professionals a much-needed moment to catch their breath and catch up on the events of the year. Whether your holiday plans involve a trip to another city or family members heading your way, a little bit of planning can be a great way to avoid any unnecessary distractions. One such distraction, traffic, could be particularly intrusive this year. AAA reported that Thanksgiving 2016 saw some of the busiest traffic in nearly a decade, and all signs point toward a repeat performance to close out the year. Luckily, recent advancements in the transportation industry mean that taking the wheel in a congested city can be easily avoided. Companies like Uber have made traversing unfamiliar locales easier than it’s ever been, with rides available at the touch of a digital button. Before you settle for the biggest name in the business, though, it’s worth taking a look at some of the transportation market’s more specialized solutions. DreamTeamDrive (DTD) spends most of the year focusing on the unique needs of executive travelers, and we’re excited to transfer that attention to detail over to the family vacation market this holiday season. We pride ourselves on delivering true VIP service with every ride, and our executive-focused business model offers a few important advantages over the market leaders. Find out more by downloading the DTD App on your Android and iOS devices! When travelers are hitting the road for business, safety is always a primary concern. When the family is in tow, ensuring proper safety standards is even more vital. DTD addresses rider safety with a set of protocols that are on par with the very best in the business. Before taking the wheel under the DTD banner, we require all of our drivers to pass a thorough background screening from the experts at Checkr, the same agency used by Uber. Additionally, we insist on regular drug screenings, annual physicals and up-to-date insurance and licensing for every vehicle in the DTD fleet. Some transportation network companies have come under fire for their lackluster stances on rider safety. This isn’t the case with DTD. Put your mind at ease by reserving a ride with the Uber alternative in Indianapolis that is committed to a safe, comfortable and convenient experience, each and every time. Preparing before you leave home can make your holiday trip a little less stressful, and that’s always a good thing. Unfortunately, Uber doesn’t allow riders in Indianapolis to reserve rides ahead of time, meaning that you’ll be forced to find and hail a car after your plane touches down. Locating your ride in a sea of sedans while pulling luggage and watching the kids doesn’t exactly sound like a relaxing experience. With DTD, you can reserve your ride in Indianapolis in advance. When you arrive, your chauffeur will be ready and waiting in a spacious sedan or SUV. Wherever your travels may lead, DTD drivers have the knowledge and skill required to get you there in a safe and timely manner. A little preparation can go a long way toward getting your visit off to a great start, so reserve your ride with DTD today! The holidays can really stretch the budget to its limits, so leaving something as unpredictable as Uber’s Surge Pricing mechanic in your itinerary can be a recipe for disaster. This unpopular feature of Uber’s business model can lead to fares of as much as 50 times normal rates when demand is high, as it often is during the holidays. With DTD, budgeting your trip is a snap. 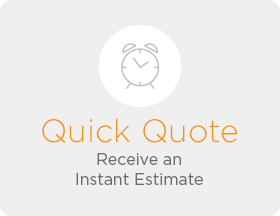 We offer two affordable pricing options that never fluctuate based on demand or traffic. Whether you go for our standard rate pricing or our flat rate billing, getting across Indianapolis in style won’t break the bank. Tis the season to enjoy some time with family and friends. Get to the fun and festivities faster by reserving your ride with DTD. It may not be as festive as a trip in a sleigh powered by flying reindeer, but a ride with DTD this holiday season is certainly a close second! Christmas is just a couple of weeks away, and you’ve probably turned your attention to your big holiday plans. Whether you’ve got a trip home to see the family on your mind or a vacation to a new and exciting place, it’s a good idea to do a little planning before hitting the road. According to AAA, this year’s Thanksgiving traffic was some of the most congested in about a decade, and the holidays coming up over the next few weeks are likely to present more of the same. With this in mind, why not bypass the stresses of fighting traffic in an unfamiliar location and let an experienced chauffeur take care of it? Now, you may be thinking that depending on a driver to help you navigate your holiday trip is sure to blow the budget, but recent advances in the transportation industry have put top quality service within reach, even when finances are tight. DreamTeamDrive (DTD) is your holiday transportation provider this year, and we’ve got a growing presence in more than 30 of the most in-demand markets across the country. Unlike some of our more widely-known competition, such as Uber, DTD is built to meet the unique travel needs of executives. This commitment to true VIP service has helped us grow from a small startup in markets across Texas to a national player in the evolving transportation network market. With the holiday season fast approaching, we’re turning our attention from business trips to family get-togethers, but that doesn’t mean the top quality service and affordable pricing that DTD is known for will be going away. Find about more about what makes DTD the premier holiday transportation solution by downloading the free DTD App. We look forward to earning your business! Hitting the road with your family can be stressful, but the experts at DTD can help transform your holiday trip into a relaxing vacation. The key to this process is our industry-leading commitment to rider safety. Before taking the wheel under the DTD banner, all of our drivers are required to pass a comprehensive background screening from the experts at Checkr. We also insist on regular drug screenings, annual physicals and up-to-date commercial licensing and insurance. All told, we’re on par with the very best in the business in terms of rider safety, which is why we’re confident that we can get your holiday trip off to a great start. Don’t settle for a traditional taxi or an Uber without checking out the alternatives. Request a better ride by reserving your trip with DTD today! Houston is a bustling metropolis on a normal day, but the added congestion of the holiday season can make getting around especially difficult. While Uber doesn’t offer the option to reserve rides in advance, leaving you prone to ride shortage, DTD gives you the option to reserve a ride around Space City days ahead of time. Whether you’re setting up a ride from the airport or a night on the town, the added convenience of advanced ride reservations is a great way to get started. Speaking of advanced ride reservations, it’s worth noting that a little sporting event called Super Bowl LI will be taking place in Houston in just a couple months. If you’re planning to attend the festivities, DTD is currently accepting advanced bookings. Reserve your ride today, because spots are filling up fast! Uber’s most unpopular feature by far is Surge Pricing. When rider demand is up, Uber could charge you as much as 50 times normal rates for a ride across Houston. Considering the fact that demand will almost certainly be up during the holiday season, depending on Uber to get around could be a recipe for a blown budget. DTD, the premier Uber alternative in Houston, addresses this issue with two affordable pricing options that remain stable, regardless of traffic or demand. Our standard rate pricing and flat rate billing are both great solutions when Uber’s Surge Pricing makes a quick trip from point ‘A’ to point ‘B’ more expensive than it needs to be. Kick of the holidays on the right foot by reserving the most comfortable ride in Houston that’s not powered by flying reindeer. Reserving a ride with DTD is a great way to dodge that dreaded holiday traffic without missing out on any of the festivities. With Thanksgiving 2016 now in the books, all eyes are looking toward the next set of holidays, which are less than a month away. Whether you celebrate Christmas, Hanukah, Kwanzaa or a collection of the three, there’s plenty of reason to hit the road this December and visit a few of those extended family members. If, by chance, those family members live in or around Fort Worth, you’ll have a great opportunity to bypass the stresses of holiday traffic without breaking the bank. Your mind may immediately jump to Uber when considering transportation network companies, but we’re here to remind you that the industry leader isn’t the only player in the game. In fact, DreamTeamDrive (DTD) is the Uber alternative in Fort Worth that offers a host of convenient features that you won’t find with the bigger companies. When it comes to getting holiday travel off to a great start, few things are more valuable than a reliable partner with the knowledge and proven track record you’ll want when hitting the road with those most dear to you. Year-round, DTD aims above and beyond the industry standard by offering the convenience and flexibility of modern transportation network companies in combination with the luxury and comfort you’d expect from a pricy executive car service. We set our own standard, and offering true VIP service is the guiding principle behind everything we do. Don’t take our word for it! Download the free DTD App on your Android and iOS devices to learn more about the DTD difference. With a growing presence in more than 30 high-demand travel markets across the country, we’re ready to take this holiday season to new heights! We may not have to worry too much about winter weather or icy roads in the Lone Star State, but that doesn’t mean that navigating the Metroplex is without its potential hazards. If you’re unfamiliar with the local traffic patterns, you could find yourself in an uncomfortable spot. That’s why we’re offering comprehensive service this holiday season, meaning that there’s no need to brave traffic in some rental car. Our commitment to safety is unparalleled in the industry, so you can ride with confidence no matter where your time in Fort Worth may lead. Before taking the wheel for DTD, all of our drivers are required to pass a comprehensive background screening from the experts at Checkr, the same screening agency used by Uber. Throw in our other requirements, such as regular drug screenings and annual physicals, and you’ve got a recipe for a better ride this December. This Thanksgiving saw more travelers hitting the road than have been recorded for nearly a decade. Christmas is on pace for much of the same. Luckily, DTD offers the tools you’ll need to ensure a safe ride is waiting as soon as your plane touches down. While industry leaders like Uber neglect to offer advanced ride reservations in favor of flexibility for their drivers, DTD is built with the needs of executive travelers in mind. Using the free DTD App, you can reserve your ride in Fort Worth before leaving home. With one less thing to worry about after reaching the Metroplex, you’ll be one step closer to a more relaxing holiday vacation. The way we see it, proper preparation is the key to professional success, and there’s no reason that principle can’t be applied to your next family trip, as well. Speaking of preparation, what’s the deal with Surge Pricing? With this complicated mechanic, Uber justifies charging its customers supercharged fares whenever demand is high. Paying 50 times normal rates to get around Fort Worth definitely isn’t in the budget! DTD eliminates this costly confusion with two affordable pricing options that never fluctuate based on demand. Whether it’s the middle of the night or the middle of rush hour, you can depend on top flight service at a consistently affordable price point when riding with DTD. Take some of the stress out of the holiday season by reserving your ride with DTD. We’ve got a growing presence in more than 30 of the most in-demand markets across the country, making us the Uber alternative you can depend on as the Yuletide season inches ever closer.